I have been pretty excited to see Bradley Cooper's directorial debut. It's always great to see how an actor moves from in front of the camera to behind but to do both at the same time in your first directing job is no mean feat and Cooper definitely did pretty darn good. A Star is Born is a modernised reimagining of the 1937 Oscar winning Janet Gaynor/Fredric March film. Since then there have been two more remakes, the first starring Judy Garland and James Mason in 1954, the 1976 Barbra Streisand and Kris Kristofferson hit and now we land in 2018 with Bradley Cooper and Lady Gaga. Each adaptation has taken itself to the Oscars, the first and third being successful with one win each, so we know it does well during awards season and I'm sure our modern day version will mimic that success. I'm not going to say the film was perfect or that it was everything I expected it to be and more because it did start off pretty rocky for me. I wasn't sure on the character of Ally, I can't compare it to the original performances because I am yet to see them but her introduction made me a little uneasy due to one particular shot. Ally, played by Gaga, is lying on the bar top mid (beautiful) performance of La Vie En Rose when time slows down for her to meet eyes with Jackson Maine, a rockstar with a penchant for alcohol played by Bradley Cooper. I imagine it was intended to be romantic but felt very much like a male gaze moment, meaning I didn't step off on the right foot with the relationship that developed very rapidly between the two. I didn't find much joy in watching their relationship develop to begin with. I felt like Jackson was taking advantage whilst Ally rolled with the punches, all the while feeling pretty bad for the both of them. Feeling bad for Ally because she wanted so badly to sing and feeling bad for Jackson that he could barely remember a thing that was going on while it happened. However, the moment she joined him on stage for the first time was movie magic and definitely hit a heartstring. In fact, pretty much all the moments where it was just them and the music were the ones that hit the deepest. I also found it hard making up my mind as to whether or not Ally was truly enjoying her solo career. She didn't give much away even though her image and sound were dramatically different to the girl we were introduced to at the beginning of the 136 minutes, it was interesting that there wasn't much comment on it outside of Jackson's snide remarks. There was a strange parallel between beauty and success that was hit on at random points but didn't much follow through to anything though I definitely believe it was meant to be through the device of Ally's style evolution. It did a great job of showcasing the rise of Ally colliding with the fall of Jackson through unique choices made by Cooper who did a great job with showing not telling a lot of the plot points, key moments hitting with just a gesture or a look. He made some interesting visual choices utilising reflections and light in different ways and he most certainly drew some heartfelt performances. 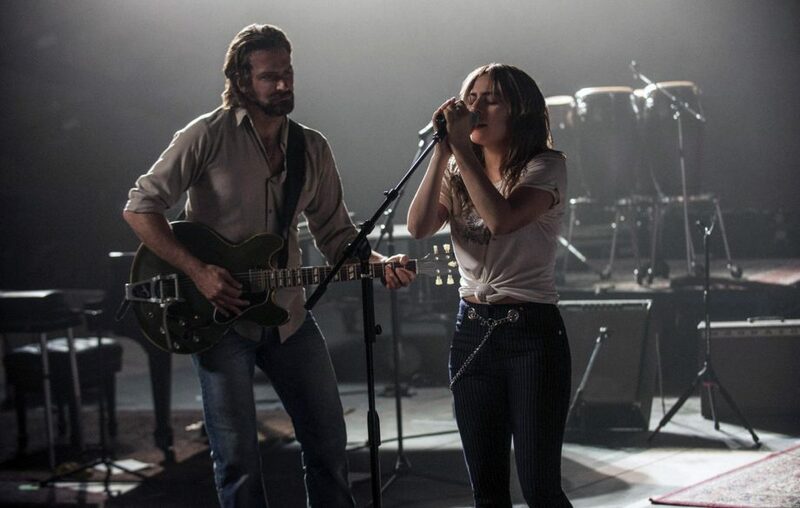 Casting a real musician in the role of Ally was a smart move and I don't think anyone can deny Lady Gaga really believed every step she took throughout the film. My favourite moment is her covering her eyes mid performance because it felt like "okay, the second my hands go down I am in this 100% and I just have to dive in". Jackson's strongest device was that he was never really face on with the camera at many points, allowing the audience to feel Ally's pain of never being completely let all the way in. It had a beautiful way of melding the past with the present, feeling like another time completely, every now and then an iPhone popping up reminding us where we really were. Cooper definitely got his point of celebrity culture and the fickleness that occurs alongside it through; one particular shot to back this up is in Ally's first trip to the recording booth where Jackson steps in to help her feel more comfortable. Instead of showing us them face on, we watched the scene play out through the reflection of the recording booth's glass window, something that easily could've been a risk but paid off pretty well. It felt like we were intruding in a private moment, the same way a lot of people feel they have the right to a celebrity's time. I'd say it's a pretty safe bet in the musical/comedy section at the Golden Globe and can sense the film making its fourth trip to the Oscars. Whether it'll win or not is still up for debate! A Star is Born is in UK Cinemas from October 3rd.